The Contact Service is a county wide resource that provides supervised contact for children within Lincolnshire. This chapter outlines the Contact Service and aims to provide an operational overview of the service provided. This chapter should be read in its entirety. This chapter was introduced in to the manual in December 2016. Supervised contact ensures the physical safety and emotional wellbeing of a child. It also assists in building and sustaining positive relationships between a child and members of their non-resident family. Over the last year partnerships have developed with Children's Centres resulting in contact taking place in these venues where there is low identified risk. Typically, contact is by the agreement or direction of the Court where the Local Authority is in proceedings. The service often supervises contacts on a shorter term basis to assist Social Workers with assessments and court welfare reports. All contacts are fully recorded and the supervisors' records can be used within court and may contribute towards a social care assessment. With all cases it is expected that the referring social work team will supervise 20% of these. The Contact Service has developed a partnership with Children's Links who provide supported contact for private law cases, sessions operate fortnightly from Lincolnshire County Council (LCC) Family Centres. Referrals for this provision are via the Child Contact Centre Co-ordinator on 07554450502. To meet geographical demand the Contact Service is structured as described below. To allow reasonable contact between a child in care of the Local Authority and their families (Section 34). This requires supervisors who are skilled and confident enough to intervene immediately and firmly if necessary and can work professionally in a planned way with vulnerable children and highly distressed adults. The Children Act 1989 provides the legal framework for judicial decisions relating to children. The Act requires judicial consideration of the “Welfare Checklist” prior to the making of almost all Orders under the Act. The court is also required by the Act to consider whether in the circumstances of the case, it is in the child’s interest to make the Order sought. Section 34 of the Act regulates contact between children in care and their families. Local Authorities have a duty to allow children in their care to have reasonable contact with their parents. Refusal of contact for more than 7 days or permanent refusal requires authorisation from a court under section 34(4), as does reducing contact from direct to indirect contact. The duty to promote contact is also a requirement in both the Children’s Home Regulations and the Fostering Services Regulations. These requirements are applied within the Children’s Homes Regulations including Quality Standards (2015) (Standard 14), and the National Minimum Standards for Fostering Services (2011) (Standard 9). Contact will take place in an identified suitable venue closest to the current placement address of the child. Whilst an assessment is being undertaken by a social worker Section 7 and Section 8 Children Act 1989. In cases where rehabilitation is possible, Contact Supervisors will assist in rehabilitation plans for children on returning back into the care of their family. This ensures a more streamlined process and offers some consistency to the family during this period before transferring back to the Early Help team. Frequency of contact will vary from case to case. It must be acknowledged that some children are involved in multiple contact arrangements which if not carefully managed allow them little time for anything else. Parental contact with newly-born babies and infants may be higher, particularly if mother is breastfeeding, though sessions may be of shorter duration. Nevertheless the courts have indicated that daily contact (7 days a week) will be exceptional and unusual. There is increasing evidence that even 5 times a week is disruptive and stressful for the baby or infant and that such frequent contacts should be avoided to allow the child to settle in its new placement. When considering frequency of contact, the primary consideration will be the welfare and best interests of the child. Where contact arrangements are changed through no fault of the parents, such as due to the unavailability of contact providers, if possible a replacement session will be arranged. The responsibility to make new / alternative arrangements lies with the Contact Supervisor involved, ensuring details regarding the new arrangements are shared with all parties. Cancellation due to parent/ child illness, extreme weather conditions inhibiting attendance, court attendance and contact dates conflicting with bank holidays will not be replaced. Prior to the commencement of supervised contact, a meeting will take place between the allocated Contact Supervisor, and the adult(s) involved in the contact sessions and the allocated Social Worker. The Contact Supervisor will aim to meet and introduce themselves to the child, foster carer and school/nursery. The Supervised Contact agreement will outline, dates, times, venues, expectations of family members attending contact etc. This agreement will clearly outline the consequences of failed or negative contacts, and should be attached as an appendix to any court Care Plan. An urgent meeting will be held with adults involved to consider whether the level and duration of contact is appropriate and in the child's interests. Inform how to make a complaint. The parents, carers and other person involved in the contact should have copies of the agreement. The purpose of the contact review meeting is to evaluate the quality and effectiveness of contact, whether contact still needs to be supervised and whether any changes need to made to the arrangements. It’s an opportunity to discuss with the parents and Social Worker any issues and to highlight where contact is going well. Generally contact should be reviewed every 12 weeks, however, at times this may need to be more or less frequent depending on individual circumstances. Where the child resides in Local Authority Care long term or is the subject of a full Care Order contact reviews will take place on an annual basis. Supervised contact often carries an element of risk and therefore careful planning is required. The transient or unsettled lifestyle of parents, as opposed to long-standing local connections. Whilst we try to respond to emergency requests as quickly as possible, it is vital that all risks are considered in full. Where risk levels change, this should be recorder and shared with all parties as soon as possible. Where the contact presents a high risk of risks arise following a contact session a risk management meeting will be convened, chaired by the relevant Service Manager. It is very important that when significant decisions are made about current and future plans for the children, the Contact Service is contacted by the Social Worker to ensure that joint consideration of the impact this might have on the child and parent takes place. For each referral a primary Contact Supervisor will be allocated, it is the aim of the service that this supervisor will continue working the case throughout the services involvement to ensure consistency for the child and their parent. 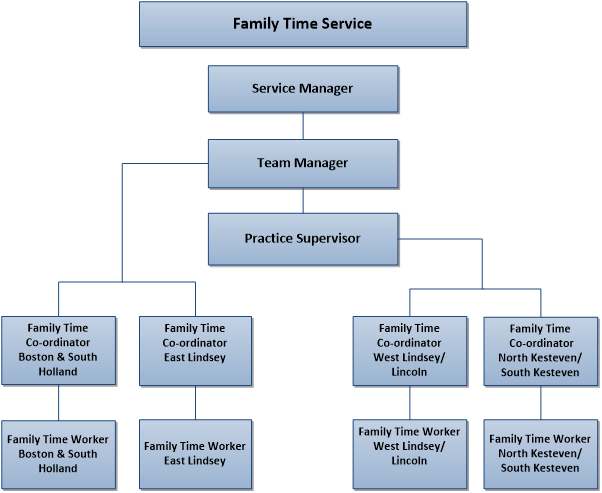 The supervisor will meet with the family members to allow opportunity for them to discuss, what is working well within the contact session, what they are worried about and what needs to happen in future contact sessions. This will provide the family with on-going support to improve their parenting capacity within the realms of supervised contact. The Contact Supervisor may be required to role model during the contact session to actively demonstrate practical parenting tasks. It is the Contact Supervisors role to intervene and possibly terminate a contact session if the child is deemed to be at risk of harm at any time within the session. The supervisor must immediately report to the social worker any concerns about the parents' conduct during the contact. The social worker in consultation with his/her manager should consider the need to review the risk assessment and/or the contact arrangements in light of the concerns expressed. The Contact Co-ordinator line manages the Contact Supervisors and will undertake case supervision and quality auditing as per procedure. The Contact Supervisor will provide a weekly overview of the contact sessions that have taken place that week; this will be within the signs of safety model. This will include, what has worked well within the contact session, what are the worries and what needs to happen. This will be in conjunction with the family's views of the contact session and the Contact Supervisors assessment. Recording standards are in line with LCC case recording procedures. The contact recordings are saved on the child's file within Mosaic. Contact recordings are distributed to legal service representatives on a weekly basis (cases in public law proceedings). Transport for contact is arranged by the Service. There is an expectation that contact takes place at a venue near to where children are placed and that parent's travel. Transport is procured through the Transport Service Group (TSG) which takes 5 working days to set up. During the interim period Contact Services arrange transport via local taxi firms on the approved operators list. However it is recognised that it is in the best interests for children if carers are able to bring them to contact in the first instance. Transport should only be arranged through a taxi or TSG after agreement with a Contact Coordinator. Any transport arranged for children should be appropriate to their needs and safety. Only transport from the approved operators list should be used. These Operators and Escorts are DBS checked and are deemed safe to transport vulnerable babies and children by TSG. The Supervised Contact Service is committed to seeking the views of service users in relation to the quality of the service we provide and how we can make changes/improvements where appropriate. Contact Supervisors ask for the parent and child's views at each session and these are added onto the Signs of Safety forms, which are then saved to the child's Mosaic file. Formal service feedback forms are completed with parents at each contact review meeting. Within each Family Centre 'fishes for wishes' forms are available for any visiting service user to provide direct feedback regarding the service, the venue or general views. Additionally feedback forms are completed by parents, professionals, carers and the child at the point of closure. Within each Family Centre a Munro Representative is appointed, their role is to ensure that the Contact Service is Munro compliant to enable Contact Supervisors to make the best judgements about how to help Children and Families that enter the service. The Supervised Contact Service operates Monday to Friday between 9am and 6pm. Where required, contact can be provided at alternative times, on a Saturday and bank holidays. Numbers of children rehabilitated home. The Quality Audit response must be completed within 5 working days.